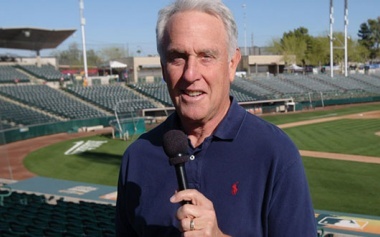 A GREAT PASSION FOR THE GAME AND LIFE ITSELF Ken Korach has been living the life of a dream come true. For the past 19 years he has been and is the radio voice of the Oakland A’s. He was born in Los Angeles in 1952. He is the son of a high school and junior college baseball and basketball coach. He has loved sports since the day he was born and remembers playing catch before he could walk. He grew up minutes from Dodger Stadium, but in his childhood gre..